Native to rainforest and some desert environments, chameleons are becoming increasingly popular as pets in the United States. Their management is highly specialized, and they are considered to be extremely fragile and notoriously difficult to keep in captivity. Appropriate husbandry and diet are key to their successful maintenance. Lifespan in captivity ranges from 1-5 years, and adult size varies with species. Appropriate housing is important to maintaining chameleons in captivity long term. Improper temperature range, lighting, caging, hydration, or types and size of food items cause stress and can lead to disease. Setting up an appropriate enclosure is often the most important step to ensuring your chameleon’s health. Chameleons should generally be housed singly throughout their lives. If enclosures are near each other, use visual barriers to reduce stress associated with line of sight. A large, well-ventilated enclosure is ideal. Screening is preferred to maximize ventilation. Plastic coated screening or PVC mesh is often safer than metal screening. 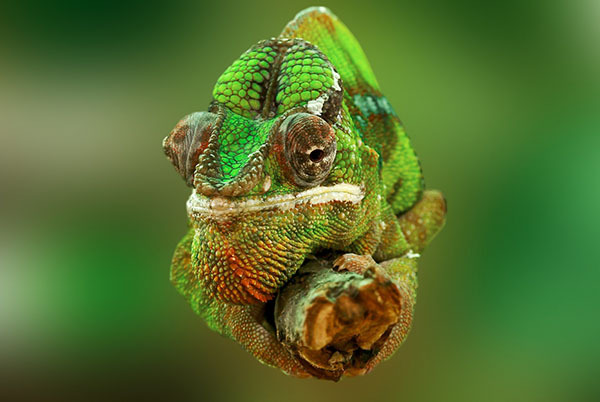 Exo-terra makes screened enclosures that can be appropriately set up for chameleons. Cage furniture/foliage: Provide numerous branches (various sizes) and plants such as ficus, pothos, others) for climbing and hiding. Artificial plants are easier to keep clean than natural plants. Newspaper, butcher paper, or paper towel are safest and easiest to replace/clean. Clean/replace the surface every few days to prevent exposure to waste. 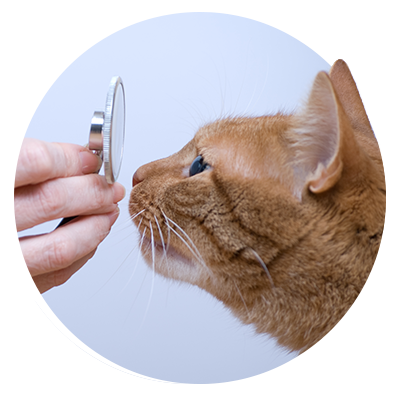 SAND, GRAVEL, MULCH/BARK, OR OTHER NATURAL SUBSTRATES SHOULD NEVER BE USED DUE TO DIFFICULTIES IN CLEANING, RISK OF GASTROINTESTINAL ISSUES IF EATEN, AND PROBLEMS WITH IRRITATION OF EYES AND DELICATE TISSUE OF MOUTH. Preferences vary among species, with two primary groups existing. NOTE the preferred temperature ranges include significantly cooler temperatures at night – this is very important to your chameleon’s health. An incandescent light bulb, ceramic heating element, or red/other bulb can provide heat for the focal basking area. Use digital thermometers with probes (not dial thermometers) to monitor temperature, and be sure a temperature gradient exists within the enclosure so your chameleon can remove itself from the basking area when cooler temperatures are preferred. Montane/highland group: Jackson’s chameleon (C. jacksonii), Fischer’s chameleon (C. fischeri), Mountain chameleon (C.montium), Parson’s chameleon (C. parsonii). Daytime temperature between 70-80°F, with focal basking site reaching 82-85°F. Nighttime temperature as low as 55-60°F. Lowland/tropical group: Flap-necked chameleon(C. dilepis), Graceful chameleon(C gracilis), Senegal chameleon(C. senegalensis), Meller’s chameleon (C. melleri), Oustelet’s chameleon (C. oustaleti), Yemen/veiled chameleon (C. capyptratus), and Panther chameleon (C. pardalis). Daytime temperature between 79–88°F, with focal basking site reaching 94-100°F. Nighttime temperature as low as 64-66°F. Provide a 5.0 ultraviolet B (UVB) light over the basking area (within 18 inches) for 12-14 hours in summer and 10-12 hours in winter. 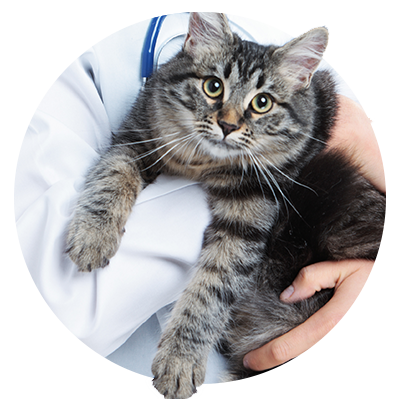 UVB is necessary for appropriate absorption of calcium from the gas trointestinal system. Replace this bulb approximately every 6 months, as UVB output decreases with time. Chameleons can also be placed in natural sunlight in a screened enclosure during the warmer months. Don’t use an aquarium due to risk of overheating, and always supervise if outside due to risk of predators. Montane/highland species require a higher humidity than lowland/tropical species. A relatively high humidity range of 50-75% is appropriate for most chameleons. Spraying the enclosure multiple times a day with clean, fresh water can help maintain humidity. Adequate ventilation should not be sacrificed in an effort to maintain high humidity, as this can lead to medical problems and microbial growth. Offer appropriately sized gut-loaded insects ONCE DAILY TO EVERY OTHER DAY. The number of insects fed varies to some extent, but a good rule of thumb is that juveniles should be fed as much as they will eat, while adults should average approximately 5-15 adult crickets every 2-3 days. Crickets should be no longer than the width of your pet’s head. To properly gut load, provide insects with a complete diet, such as rodent chow, dry dog food, or bird pellets. Insects can include crickets, flies, butterflies, and wax-moth larvae and adults. To prevent injury remove uneaten crickets immediately. As an alternative, feeding in a separate container can assist in monitoring appetite, prevent loss of vitamin/calcium powders, and ensure that uneaten insects are not unintentionally left in the primary enclosure for long periods of time. Another option is to hand feed and hand water your pet. This can help in monitoring food and water intake, and can result in the animal becoming better acclimated to humans by providing a positive association with food. Vitamin supplements: We recommend Repashy Calcium Plus Dust as a high quality calcium/vitamin D3/Vitamin A supplement 3-4 times a week in juveniles and twice weekly in adults. Water: A water bowl can be provided in the enclosure, however, chameleons generally will not drink from standing water, making appropriate hydration slightly more challenging than in many other reptile species. Misting and dripping – For tropical species, misting the cage several times daily will help increase overall humidity. Many animals will drink water that has been misted or dripped onto the screening and plants. Some chameleons will even drink water offered to them from a dropper or water bottle. You can fill a Styrofoam cup with water and put a few pin holes in the bottom and place on top of the cage as well. Be sure the enclosure is adequately ventilated to prevent health problems associated with excessive moisture. 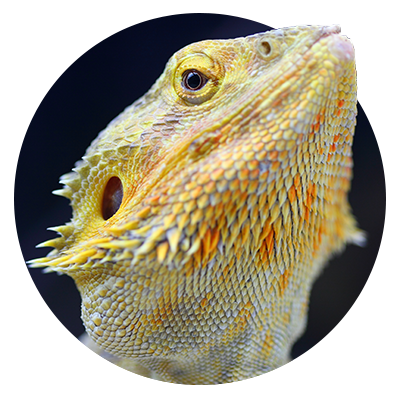 Commercial misters, drip systems, and bubblers – Commercial systems are now available intended to provide moisture and increase humidity in reptile enclosures, however the risks of these systems may outweigh the benefits. These systems may harbor bacteria and can be very difficult to keep clean. If you do chose to utilize one of these commercial systems, it is vital that it be kept meticulously clean. It should be thoroughly disinfected once or twice monthly with dilute bleach (1:30 bleach:water), allowing a contact time of at least 15-20 minutes. Rinse thoroughly before returning to the enclosure. 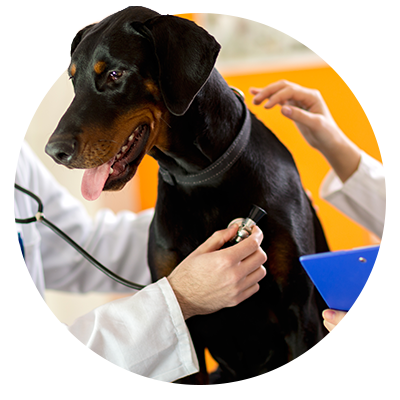 We highly recommend that your pet be seen for an annual physical examination with an experienced reptile veterinarian. Please consult a reptile veterinarian should you notice any of the following signs: weight loss, decreased appetite/thirst, abnormal stools, twitching/tremors/seizures, swelling of the limbs, inability to close the mouth properly, discharge from eyes and/or mouth, difficulty breathing, distension of the abdomen in non-breeding animals, masses/lumps, or wounds/cuts/scrapes. Common medical conditions in chameleons include metabolic bone disease, egg-binding, and kidney disease. Some of these conditions are preventable with appropriate husbandry/diet and regular physical examinations.